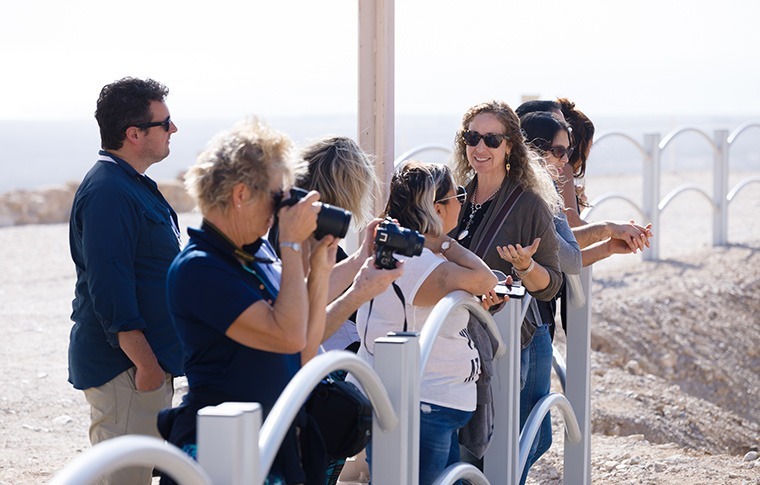 By land or by air, experience a magical tour that will let you see, feel and taste Masada and the Dead Sea from a unique perspective. Check out our surprisingly affordable prices. 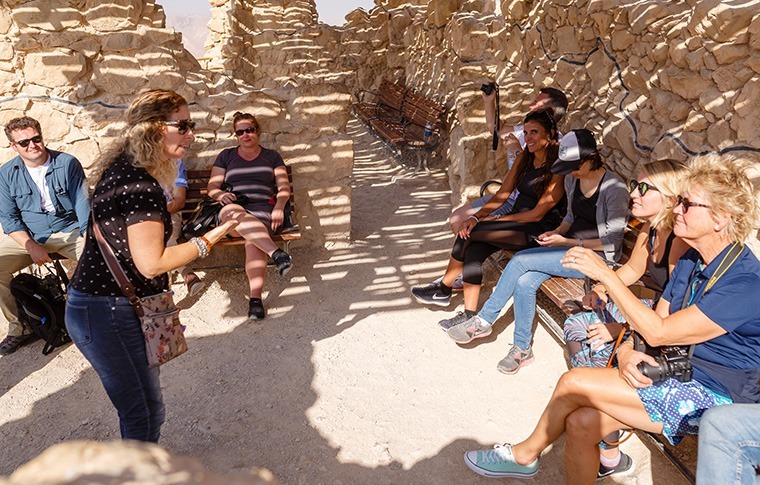 View a new perspective of ancient Masada. 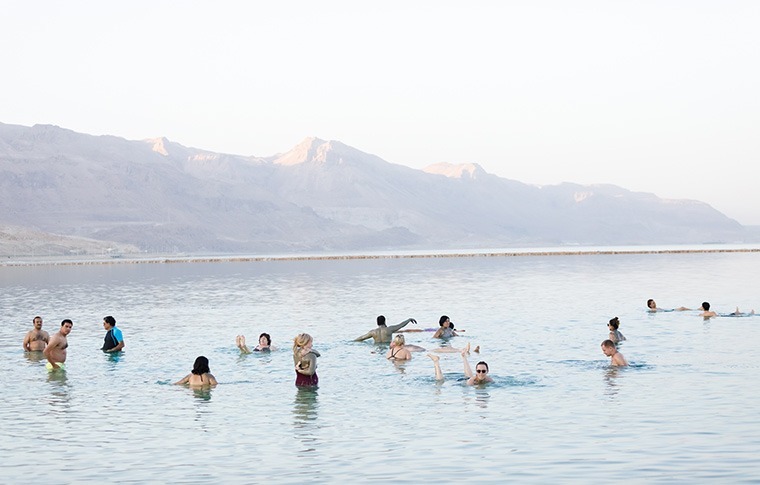 Float your way to health in the Dead Sea. 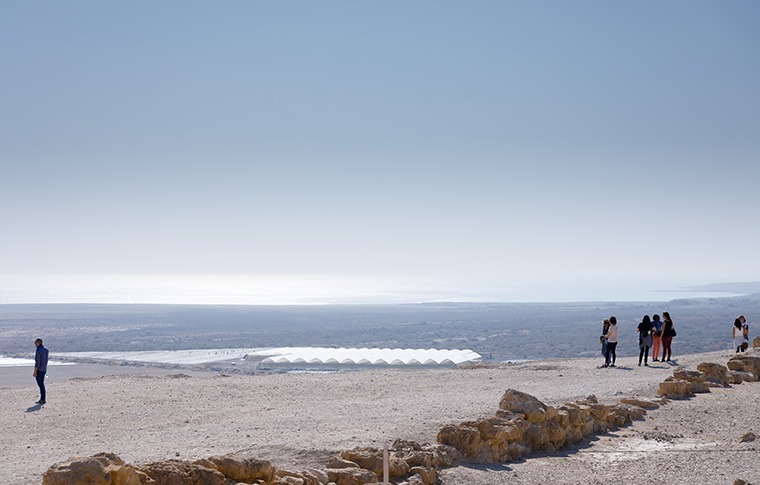 Enjoy the unique landscape of the Judean Desert and the Dead Sea coast. 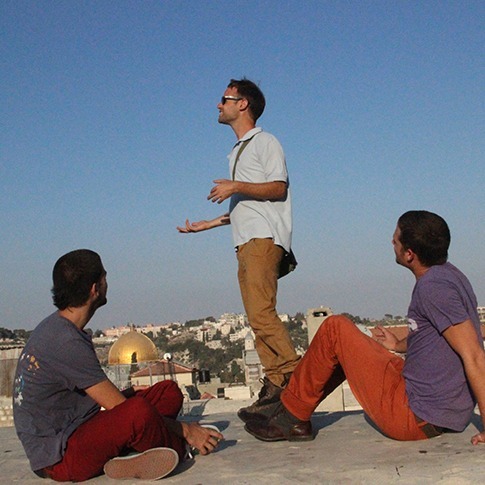 Gain insight into Israel’s dramatic history. You can do this tour in a helicopter! A restaurant lunch is available for an additional charge. Swimsuit (but not your best one because the salt and other minerals may stain it), flip flops or other beach shoes. You can rent a towel onsite. 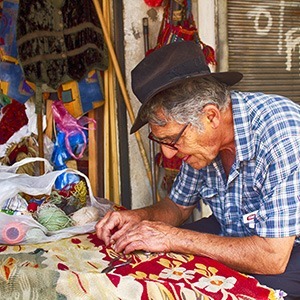 Casual, comfortable clothing, including a sunhat. Leave your jewellery at the hotel; gold of less than 24 carats and all silver will turn black in the mineral water. LAND: Pick up at your hotel in a comfortable air-conditioned van. 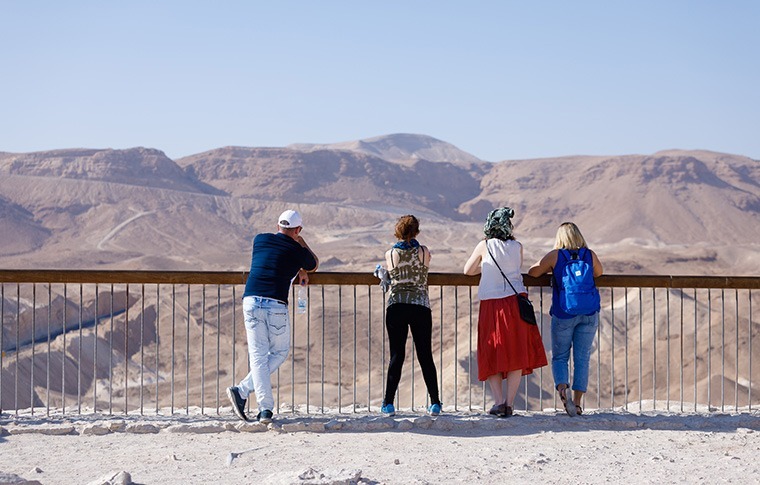 A scenic drive, flanked by the Judean Mountains on one side and the Dead Sea on the other, will transport you to Masada for a memorable tour of the ancient hilltop fortress. 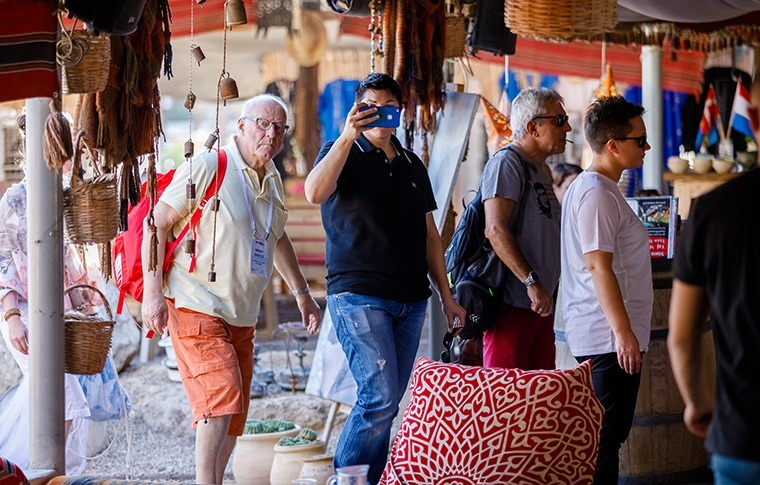 Relive the historic struggle of the Jews and its dramatic ending, which have become an important symbol into today’s Israel. 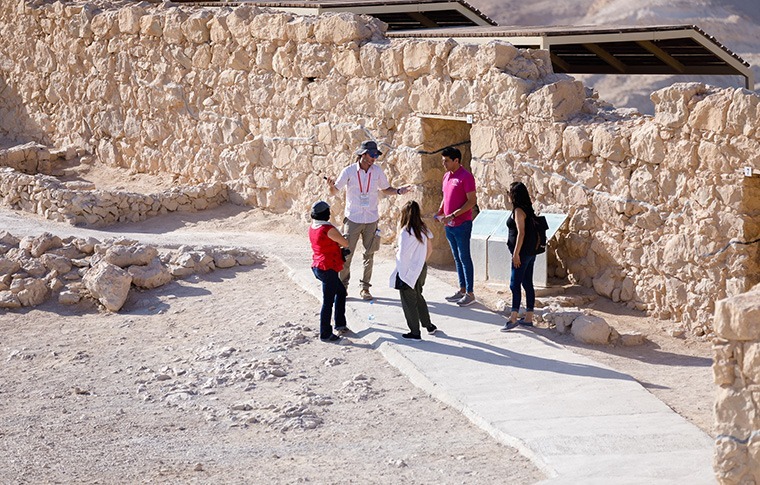 Take an insider’s peek at the hidden section of Masada, home to authentic artefacts from the 1st century CE. Float in The Dead Sea – it’s Healing and Fun! 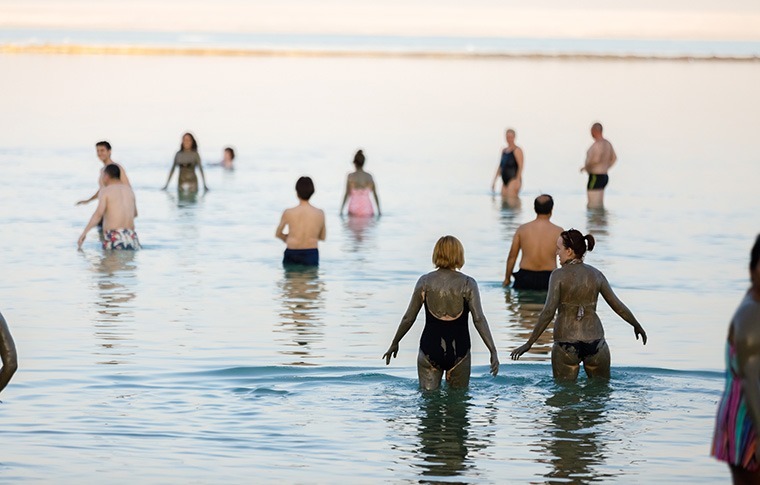 Continue to a Dead Sea spa, where the very air is full of naturally healing bromide and chloride salts. Slather your skin with soothing, softening, mineral-rich black mud (a perfect photo opp). Then float like a boat in the highly salinated seawater. Just be sure not splash any in your eyes! 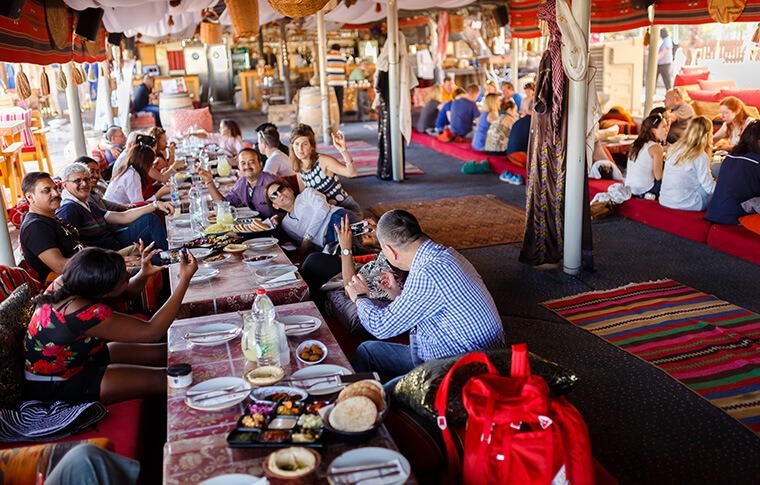 Return to your hotel in JLM/TLV via private transportation. Feel like indulging in a little nap on the trip home? 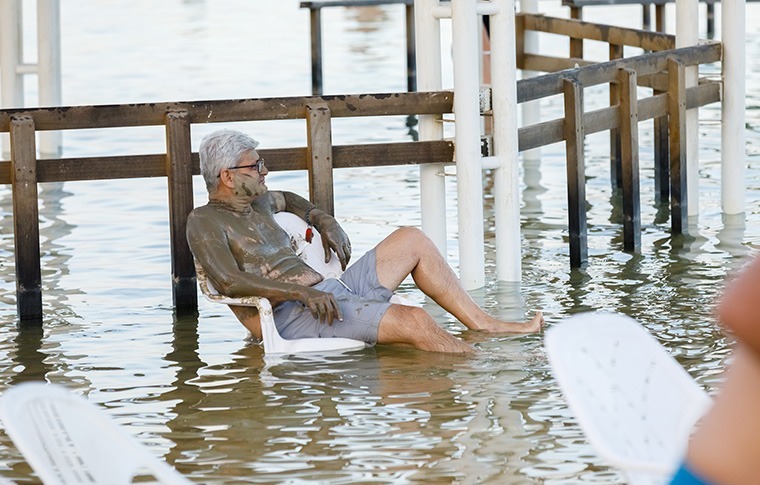 Don’t be shy – the Dead Sea does tend to have that relaxing effect on just about everyone. HELICOPTER: Leave Tel Aviv. 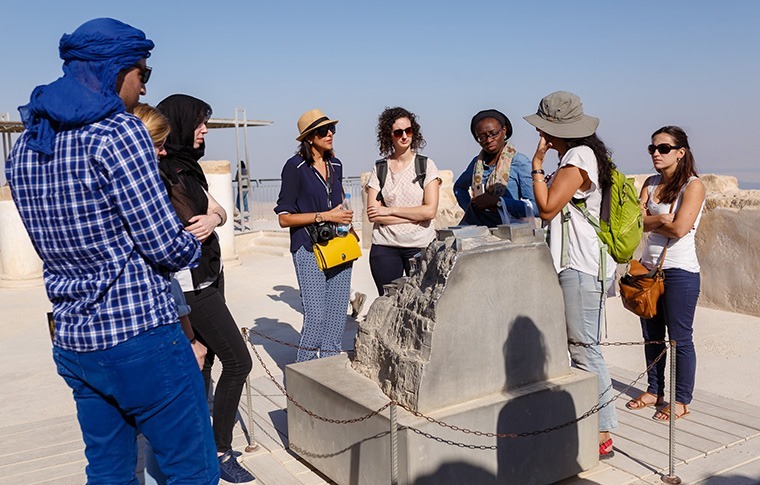 Travel over Jerusalem, getting a bird’s eye view of Modern Jerusalem, the Knesset (Parliament), and the historic Old City. Fly on through the Judean desert, hovering over the scenic wilderness monastery of Marsaba. Pause for cold cocktails and fruit atop a cliff, which offers a spectacular desert panorama. 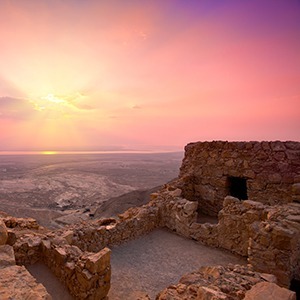 View the historic hilltop fortress of Masada as few tourists do — from the air! — and continue flying low, for an ultra close-up look at the Dead Sea from above. Break for lunch and and a relaxing, invigorating float in the Dead Sea waters. Then fly back home over the desert and Jerusalem. Safety: The helicopter tours are flown by certified, highly skilled Israeli Air Force pilots! 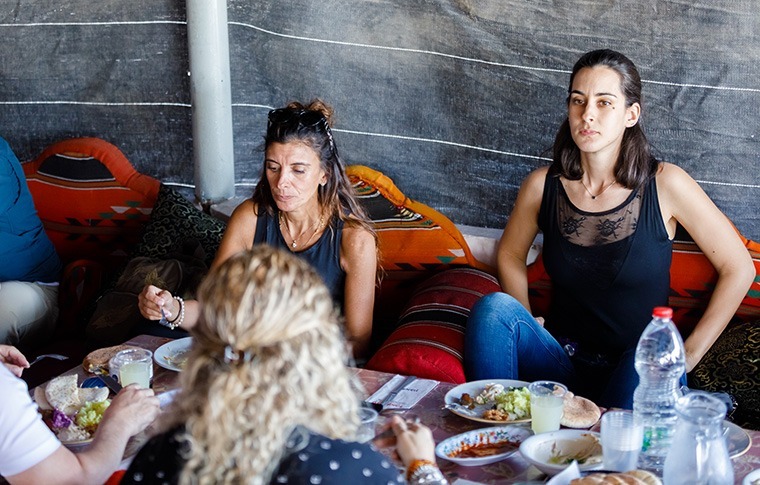 Food: We’ll stop for a restaurant lunch (not included in tour price). Worth Noting: The Dead Sea waters are beneficial for arthritis, psoriasis, and a number of other medical conditions. Jewellery: Leave your jewellery in your hotel safe; gold of less than 24 carats and all silver will turn black in the mineral water. 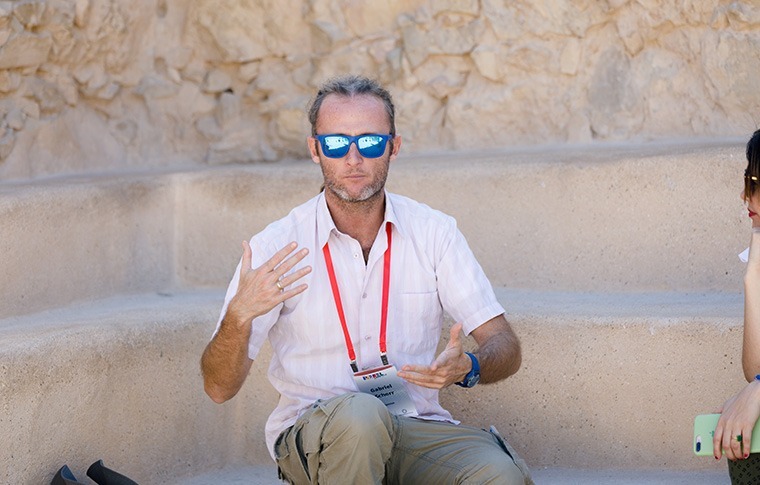 We had a great time exploring Masada and the Dead Sea with Asaf. It was nice to set our own itinerary and go at our own speed. 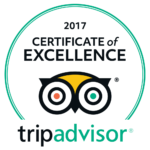 We had a fantastic time, and there is no doubt that Asaf enhanced every experience. His knowledge of the sites and areas we visited as well as personal narratives added so much to each step.